Is there such a thing as too high a pregnancy rate? “Ultimately, the economically optimal pregnancy rate depends on many herd specific factors, but especially the costs associated with making the management changes that result in an increased pregnancy rate,” shared the University of Kentucky’s Karmella Dolecheck, Katie Kelly, and Jeffrey Bewely. 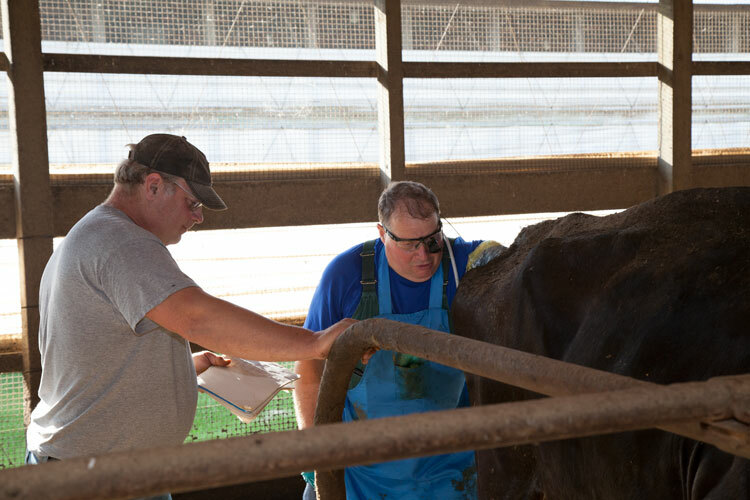 On the other hand, the University of Florida’s Albert DeVries has shown that to date, research has not found a point where overall herd performance was not improved by better pregnancy rates. Overall herd performance does not always equate to economic performance success. So where do these two balance out? For many herds, there is still economic room to improve pregnancy rates. It is only among those herds that already have a great deal of success with their reproductive program that additional improvements in pregnancy rates may not result in greater economic advantages. The example shared by the Kentucky team is this: Moving pregnancy rate from 18 percent to 20 percent has more overall value than moving it from 28 percent to 30 percent. While both improve herd performance, one has a much greater impact on the farm’s dollars and cents. Does that mean farms should stop finding ways to improve reproductive levels at a specific pregnancy rate? No. The Kentucky team explains that raising pregnancy rates in the better herds simply requires finding lower-cost management adjustments. So what is the optimal pregnancy rate? In many ways, it’s farm specific. As mentioned before, it depends on what the costs are to make the next most beneficial improvement. Always consider the costs as well as the overall herd benefit in decision-making. If not already done, farms should consider the cost-benefit advantages of improving pregnancy rate.